We believe in the next generation! Unfortunately our world is plagued with evil and injustice. However, we believe that the next generation can make a significant impact by the power of the Holy Spirit. Life Change Kids exists to nurture the faith of the next generation by helping kids become lifelong followers of Jesus Christ. We have a passion to encourage children to become soldiers in God’s army against evil and injustice! We believe the best way to accomplish this goal is by providing a strong Biblical foundation, establishing strong relationships with the kids, building a safe environment to grow in their relationships with adults and the Lord, and encouraging them to serve. To contact our director, Stephanie Courtney, click here. 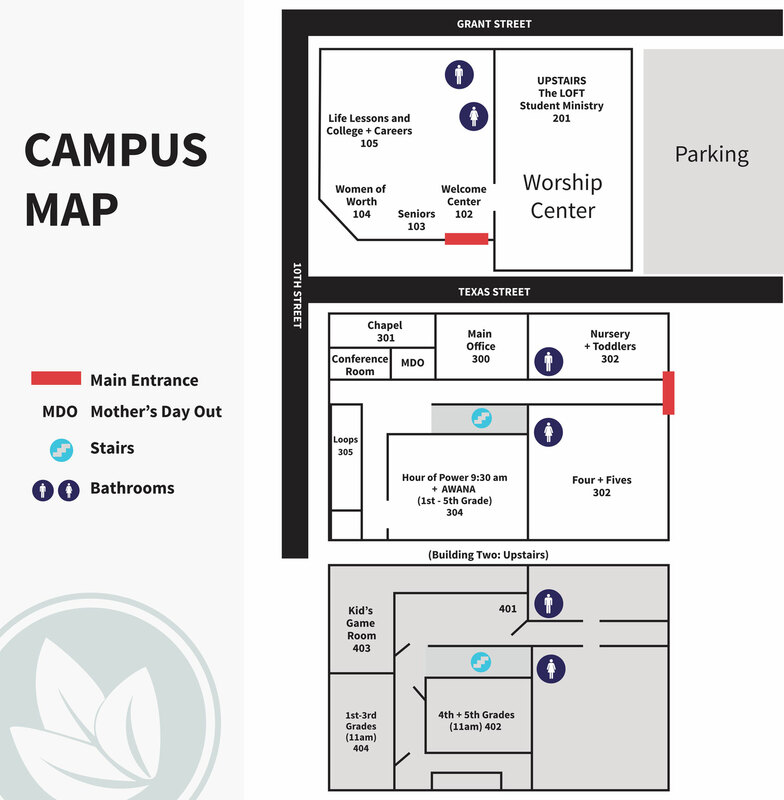 Parents, all of our Sunday children's programs and care for nursery, toddlers, 4s and 5s, 1st through 5th grade are located in building two, which is across the street from the Worship Center. Join us at 9:30 am or 11:00 am. Click here to view a map of our classrooms. Awana (APPROVED WORKMEN ARE NOT ASHAMED) is for 3 year old - 5th grades. Join us on Wednesday Nights from 6:30-8:00 pm. We meet in the children's building. Come and join in the fun!